Last Tuesday I lost one of the bunnies that the ex and I had kept. It was hard to loose one of the little fuzz butts even though I had begun to separate myself from all of that. 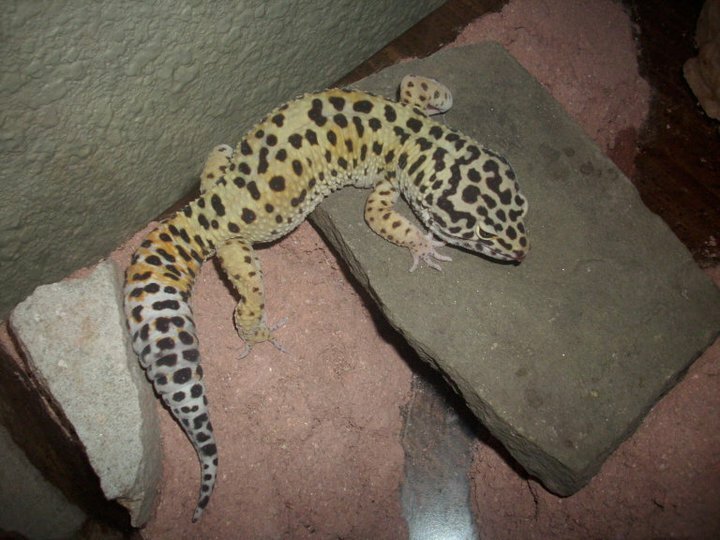 What was even harder was Wednesday I lost Yoshi, my four year old leopard gecko. He was my world. I loved that little gecko so much. I know it may sound silly to be so attached to a lizard but hey, to each, his own. In memory of him, I’m going to get a portrait of him sitting on my shoulder like he used to do when we’d hang out. He was such a handsome and well behaved little guy. Lots of good memories. Otherwise, life has been pretty much the same. I think I’ll try to finish that Manson piece I started a few weeks ago, so be on the look out for the finished product soon. That and I’m planning on starting Nick’s tattoo for him. So more art to come from me.